Congratulations to our FOUR former students: Tone Reumert (2011/2012), Asta Gaardbo (2013/2014), Adam Tocuyo (2016/2017) & Frederik Levin (2017/2018) on booking “Terkel the Motherfårking Musical” in Tivoli. You are all both hilarious characters and stunning dancers at the same time. We love how you blend in and stand out with your faces covered in wigs and make-up but your movement will always be your tell - and thank you for that, we absolutely love what you do. Do yourself a favour and go see “Terkel the Motherfårking Musical”. If you are in Copenhagen make sure you catch them performing before they leave the city to go touring in Denmark. Otherwise you can find them in a city near you. Asta. Here seen as her ensemble character, but she is also playing the role as “Rita”, where she has had stunt lessons in order to fulfill the very action packed role - and she is doing such a great job! You can go check out Fredericia Teater’s instagram for some cool rehearsal videos, where you can see Ida and the rest of the cast prepare for the jungle. 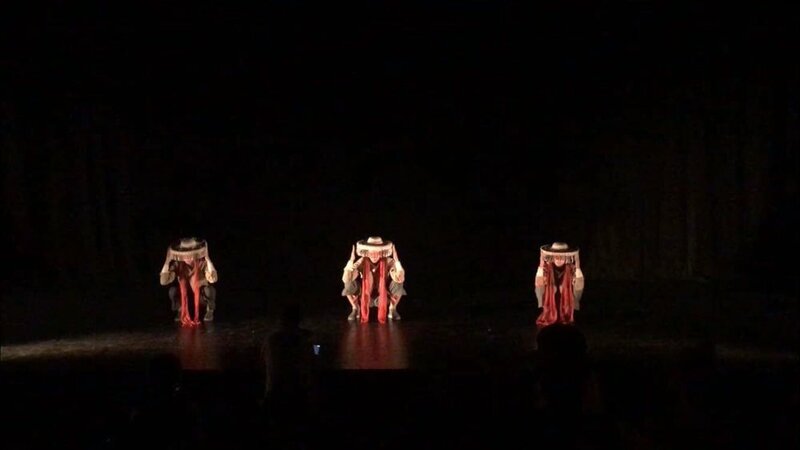 Choreographed by Olivia Sol Anselmo and danced alongside former students Maria Gauger (2017/2018) and Asta Gaardbo (2013/2014) last week at Detour Urban Dance Festival. Urban Detour Festival is an event created by Sara Jordan that each year brings new urban dance pieces to the stage and showcases different choreographers within urban dance. We are so proud of our two former students showing both feminine strength, vulnerability, and badass musicality all at once in this beautiful piece by Olivia. We have seen Asta develop into such a strong dancer (and also choreographer) since she graduated Danseuddannelsen in 2014 and we can barely stop punching the air in excitement of this lady. Also we feel the need to give an extra round of applaus to Maria who graduated only 3 months ago and already is out and about in the dance community in search for more. 100 shows down, 36 to go! In Cirkusrevyen the dancers have 2 dance numbers created by René Vinther, where they are put into two very different environments and are challenged in both genre and moods. This is something that we know these three people are capable of, when they put their mind into it! But since Cirkusrevyen mainly consists of sketches making fun of today’s society, the dancers have to be willing to adapt into a lot of different roles and situations, which is not something everyone can do. We are so proud of the three of you for having booked this job where you most differently have to be versatile as well as disciplined (the number of shows is even enough to understand why). Keep up the good work, we are cheering for you. AUDITION for 2018/2019 this Sunday the 17th of June. Saturday we celebrated Danseuddannelsen’s 10 years anniversary with “UNRAVEL” - and what a day! We are still digesting all the impressions and experiences that came along with this day and we are overwhelmed with joy and pride to say the least. UNRAVEL consisted of 5 pieces. The pieces were all very different from each other and each piece had their own unique features, but they all represented Danseuddannelsen from top to toe. All the dancers were either current or former students and the pieces were choreographed by Sara Gaardbo, Nana Kjær Regner (graduated 2013), Tobias Ellehammer (graduated 2011) and Asta Gaardbo (graduated 2014). Our celebration day and the 5 pieces paints a clear picture of the education being self-sufficient and sustainable - wait, what… are we talking about climate changes now? No! :) What we mean by saying that we’re self-sufficient and sustainable is that Danseuddannelsen has grown to be one big eco-system of students being educated and then coming back to teach, to do projects, to develop material, and so much more, which we are incredibly happy about. Furthermore it is not a closed eco-system we have going on here; we also bring in teachers that has completely different background to add other amazing things to the education as well as the former students don’t only come back to us - they are both near and far, nationally and internationally. This is something that we cherish even more and what is one of our main goals on the education: to create dancers that are independent, courageous, diverse, adaptable, and innovative. To strive for all these things our graduates need to be disciplined and to “fly the nest”, and then we are thrilled to welcome you home, when you are back. We are exceptionally proud of the fact that we each year contribute to the dance community with new shooting stars that graduates Danseuddannelsen and immediately becomes a part of the professional dance scene. We are also happy about opening new doors and inspiring some of the students to continue their development and seek more training to continue working on their craft. Cheers to 10 years of guidance, mentorship, development and last but not least DANCE. A massive THANK YOU to everybody who has been a part of this journey, we could not have done it without you! "Roam. Explore. Ebb and flow. Be transformed. Make waves." These are the words used by B&O introducing their Spring/Summer 2018 Collection - these words represented through movement by the beautiful dancers Adam Tocuyo & Olivia Sol Anselmo. We are indeed "transformed" watching these mesmerizing people, and we are also very proud of you, Adam. 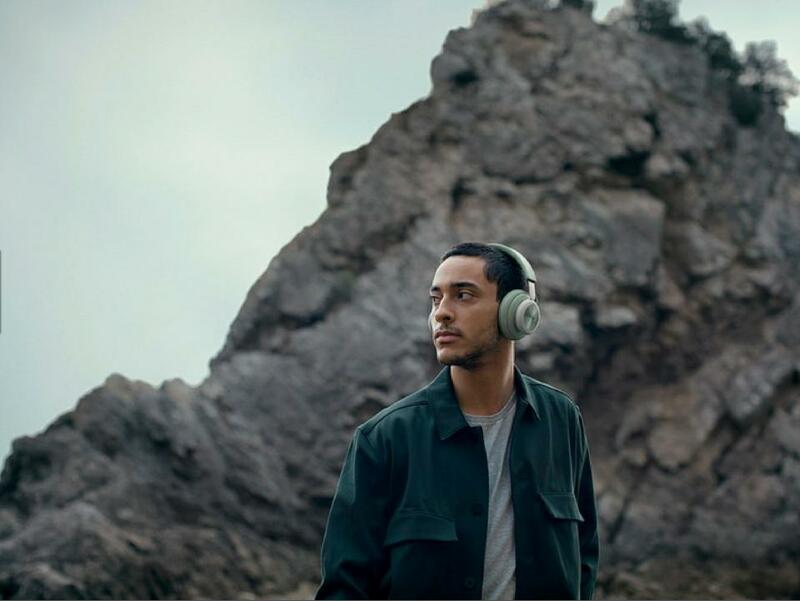 We love seeing you doing you in this elegant commercial that is combining beautiful sound with the soft and at the same time strong movement from the two of you. Enjoy the commercial by clicking the link to B&O's website or facebookpage above, but also scroll down to check out more pictures of Adam. Shooting the commercial took place close to Lisbon, Portugal. Tobias will be choreographing a piece with former students and we couldn’t think of a better way to celebrate our 10 years anniversary. Tobias graduated from Danseuddannelsen in 2011 and has since then been working professionally both as a dancer and a choreographer all over the world. We feel very lucky to have him and other former students joining us on this special night and being an extract of the many wonderful people and dancers, who have been educated from Danseuddannelsen throughout the years. We are extremely proud to have - not only one - but FOUR former students dancing on stage in a musical as legendary as West Side Story. We are very proud of you and we hope you will enjoy your journey, although we will be missing you meanwhile. See more images at Arhus Teaters Instagram. 10 YEARS ANNIVERSARY PERFORMANCE "UNRAVEL"
Time to reflect, time to sum up, time to unravel, time to be proud, and above all of this; time to CELEBRATE. This year danseuddannelsen.dk by Sara Gaardbo proudly presents the 10th year anniversary performance "Unravel". So many incredible and dedicated students throughout so many years, heading for goals and dreams in the dance community. This night we all take a trip down jubilee street to embrace every little creative soul, and dig into the very heart of dance. This special night we want to pay tribute to the dedicated people who give and take; our amazing teachers and students. Round of applause for all the talented dancers, teachers and choreographers we create and bring into the environment. This night is CELEBRATION NIGHT……. Saturday the 9th of June at Folketeatret at 15:00 and 20:00. How beautiful when everything unites in perfect harmony. Former student Nana Kjær Regner both danced in and choreographed this stunning show at D'angleterre, and we are paralyzed by your talent both on stage and as a choreographer - you are one of a kind. Along with her she brought 7 beautiful dancers - 4 of them being either former or current students from Danseuddannelsen. Congratulations Naomi Matzeu Malchau, Maria Ipsen, Maria Juul Gauger, and Emilie Frost Ebstrup for a succesful show - you were shining on stage, and we are so very proud of you. Current student Frederik Levin showed another skillset being backstage sending the models on stage and being the calm in the chaos. Scroll down to see some of the photos from the show. And now she is currently working as “Sadaka” in The Book of Mormon - can you believe it? 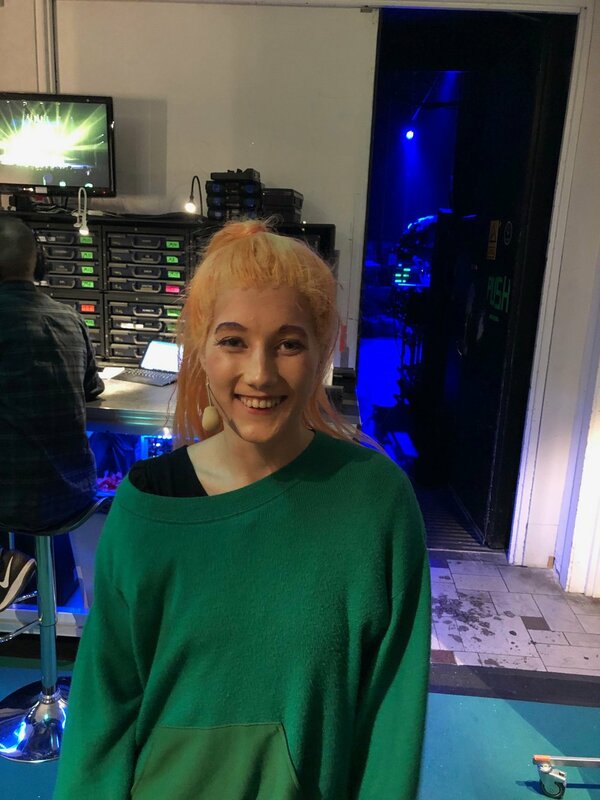 Congratulations Claire, we are so very proud of what you’ve accomplished, and we hope you will enjoy the next 4 months being in this production. Our former student, Adam, is nominated as “best dancer 2017” for his performance in “Gasgalla” at Østre Gasværk by CPHculture - only 6 months after he graduated from Danseuddannelsen, wow! We congratulate you on your recognition from the outer world, you deserve it! We cross our fingers until tomorrow, where the winner will be announced. Thank you, Adam, for being hardworking, ambitious and more than anything; humble! You are a true example to follow. We are very excited to announce that we will be having our 10 years anniversary performance in the beautiful surroundings of Folketeatret, which is situated at Nørregade right next to Nørreport in Copenhagen. We will be having 2 performances at Store Scene - both on the 9th of June - so make sure you stay updated about further information to be announced. We are absolutely thrilled to be celebrating 10 years of developing, creating, exploring, challenging, having fun, working hard, and last but not least DANCING. We have a few extra tricks up our sleeves for the celebration of the anniversary and we can’t wait to share it with you. We are absolutely thrilled to announce that all 8 spots are taken by former students from Danseuddannelsen. Congratulations to Helene Høier, Lea Simonsen, Johanne Groth Østergaard, Adam Tocuyo, Martin Westergaard, Nazanin Pourzal, Emma Sofie Nielsen & Kamma Brauner. We are so proud to se you all shine on stage in such a big production this early in your careers, and we cannot wait to see what the future holds for you. Furthermore our former student, Stine Andersen, is working as instructor/choreographer assistent under René Vinther, and has the leading dancing part as The Muse of the old theater. Stine is already working as a fulltime dancer, and we are so happy to see you combine the very essence of the education in this production. Congratulations to all of you guys, we are so very proud! at jeg kan annoncere at danseuddannelsen by Sara Gaardbo fra aug. 2017 flytter ind i nye større fantastiske lokaler. Vores nye adresse bliver Ørnevej 33, stuen, 2400 København NV. Med sine faciliteter og mange muligheder understøtter lokalerne det vokseværk danseuddannelsen.dk i de seneste par år har mærket. Ambitioner om nye tiltag kan i de nye omgivelser blive en realitet. GLÆDER mig derfor rigtig meget til at byde gamle som nye elever, alle mine fantastiske lærere samt hele mit netværk velkommen til et nyt år under et nyt tag. som vi siden 2006 har delt lokaler med. Tak for 10 gode år spækket med masser af kreativitet og kunstnerisk synergi. Det store lokale er på 190 m2 med ventilation og accustisk dæmpning I loftet. Det lille locale er på 105 m2 accustisk dæmpning I loftet. Der kommer også danse spejle op langs den højre væg. 3 gode brusebade og Sauna! Sebastian Skov Andersen a former student of mine graduated in 2014/15, has been booked by FKA-Twigs. This artist is one of the lonely riders in the pop/electronic area. FKA-Twigs has a strong personal, unique expression and very artistic brand that matches so well with Sebastians profile as a dancer. Her universe embraces new and sufisticated expressions, and a courage to go all in what she believes in. She has build a "room without a roof ". What a fantastic and inspiring platform for you to work from Sebastian. You are so much spot on in the choice. Being so focused, working so hard, adapting so well, being so versatile, and most of all having such a strong brand being exactly YOU as a dancer. WISHING YOU A GREAT WORLD FESTIVAL TOUR. PURE HARD AND DETAILED WORK. WANTING IT ALL. LOVING EVERY INCH OF IT. TAKING THE STAGE. ENJOYING THE MOMENT. THE PERFORMANCE ”SOUND AND VISION” WAS A REFLECTION, AND RESULT OF 10 MONTHS SUPER FOCUSED AND INTENSE WORK, WAOUUUUW. I want to thank all the creativity, the staff of wonderful people who collabed with me, to make this performance and evening amazing. Costumedesigner Maria Ipsen for her contribution and wonderful collab with me in creating this expression. Makeupartist Karina Højgaard for this highly creative and strong expression. My lovely students, Stine Andersen, Tobias Ellehammer, Asta Gaardbo, Esben Wormslev, Emma Lee yang Bang and Anders Deeno for your amazing inspiration and creativity. Love the versatile material and expression. Professional musician and drummer Flemming Olsen for the super collab, mixing the music with me. Lightdesigner Brian Njie for the design that always brings the most beautiful atmosphere into my performances. Photographer Henrik Ohsten my husband for the collab in creating visuals and sharing his artistic eye in whatever I do. It is with great gratitude and respect that I want to thank all my teachers during the years. Your influence, knowledgement and super qualified teaching is bringing the standard to a higher level. I feel so proud of all my dancers that I have educated during the 9 last years, what you have accomplished and your contribution to the danish danceenviroiment. Tak til Toniah for et skønt set up i Malk De Koijns univers. Var super underholdt. Hvilken talentmasse af mandlige dansere vi har herhjemme. Tak til Boris , Aleandro og Tobias mine tidligere elever på Danseuddannelsen. Jeg sad tilbagelænet og kunne ikke få smilet væk fra ansigtet, var super stolt. Kan varmt anbefale alle at se denne forestilling som kun spiller i morgen med. 3 tidligere elever fra danseuddannelsen, i hyldest af Malk De Koijn.